We, the strong, should try harder to help the weakest, this includes helping them to have the basic necessities of life. 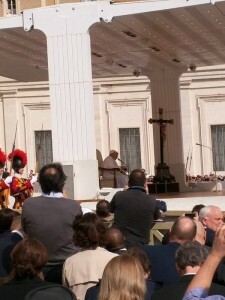 Pope Francis then gave a special blessing on those present and their families. After the public audience, 400 of those invited listened to speakers, including Cardinals, a prince, an Oscar-winning actor (Matt Damon) and others speaking about the importance of water in the world and what is currently being done and what remains to be done. 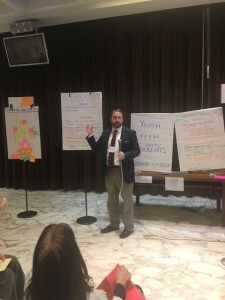 On March 23rd, an exclusive group of 60 experts from around the world, including Dr.Jackson, was chosen out of the 400 attendees for an active workshop inside the Vatican to come up with a real plan for education about water and an action plan to be implemented in the coming months and years to try to develop programs to make clean, healthy water available to everyone. On March 24th, Pope Francis met with the heads of 27 European countries to discuss essential issues with them.